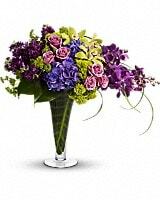 This stunning tropical bouquet really is fit for a queen. 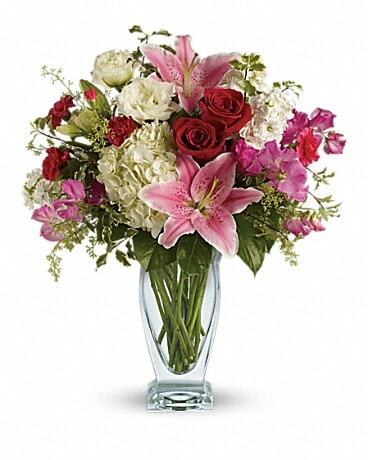 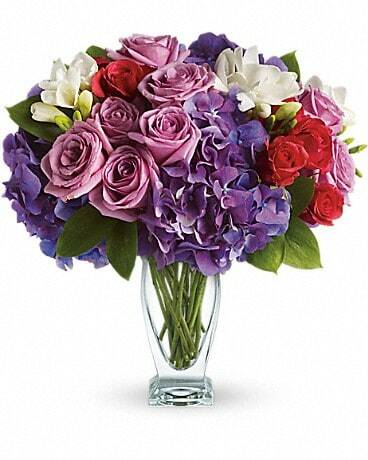 It's an elegant mix of vibrant flowers set in a tall vase lined with tropical leaves. 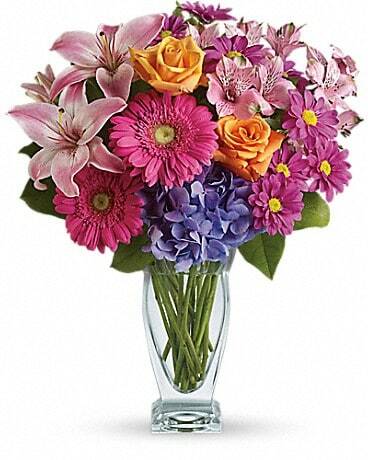 It makes a beautiful addition to a modern home or outstanding office décor.